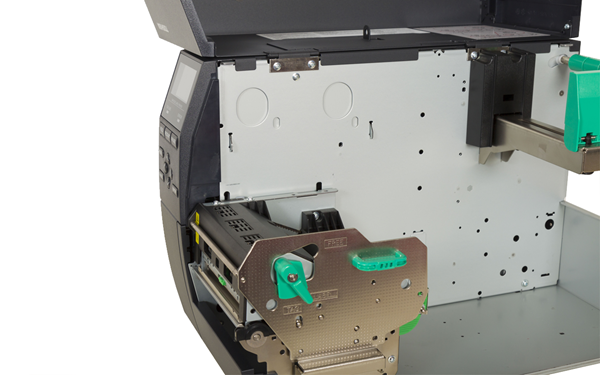 The B-EX4D2 combines high speed printing and advanced processing power (for fast output), with easy maintenance, emulation capabilities and a whole range of green credentials. 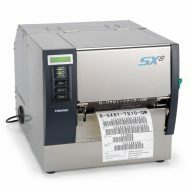 Wrapped up in a ruggedised robust metal anti-static casing, it is ideally suited to direct thermal printing applications. Expect a lowering of the total cost of ownership over the life of the printer, with no reduction in performance or quality. 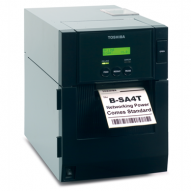 With flat head technology, left aligned media and emulation capabilities, the TOSHIBA B-EX4D2 is ideally suited to quick and easy replacement of legacy competitor estates. 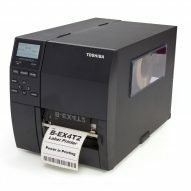 The TOSHIBA B-EX4D2 is also flexible and scalable with a multitude of options, to create the printer to suit your environment. Green credentials include the coveted Energy Star programme and a solvent-free ribbon, as well as delivering ”Carbon Zero” printing. 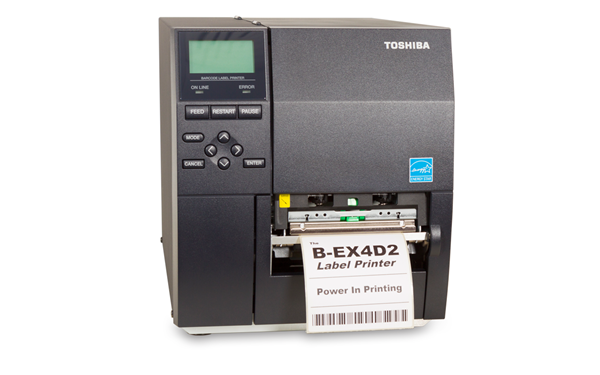 The B-EX4D2 series is designed to seamlessly replace competitor products, using Z-Mode emulation to integrate into legacy software systems. 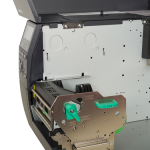 Flat-head technology, left justified media and the use of inside and outside wound ribbons allows for replacement of ageing and costly to operate legacy printing estates. 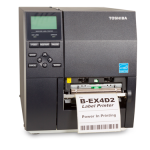 With speeds of up to 12ips, the 4 inch B-EX4D2 range is designed for demanding industrial printing. Advanced processing power ensures not only fast output, but also efficient throughput. 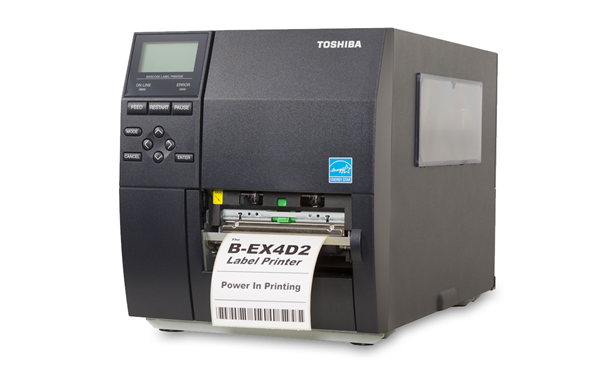 Snap-in print heads and field upgradeable options, the B-EX4D2 series continues to lower maintenance costs.